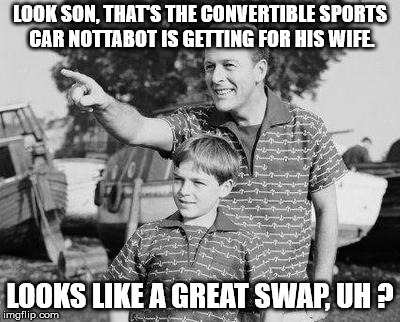 Never let your guard down lads! !...and never loose your NERVE!! Us men are getting it rough these days...time to man up and say enough's enough!...if you have the nerve that is! OK, I'll go check and see if she'll let me man up. 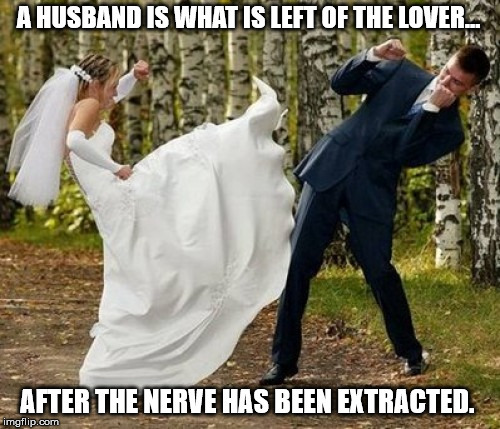 A HUSBAND IS WHAT IS LEFT OF THE LOVER... AFTER THE NERVE HAS BEEN EXTRACTED.